Can be used for firing both Composite and Black Powder engines. Features audible arming system, 40 feet of power cord, safety key, flip-up cover and more! 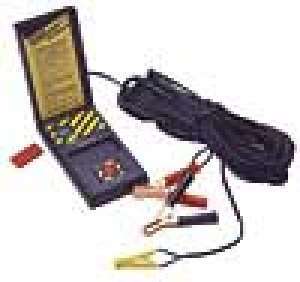 Comes with Interlock Clip for use with Aerotech Copperhead Igniters. When using other igniters, add Micro-Clips or Alligator-Clips (see Misc. Launch Equipment section) in place of the Interlock Clip. Requires external 12 volt battery (not included). Assembly required.